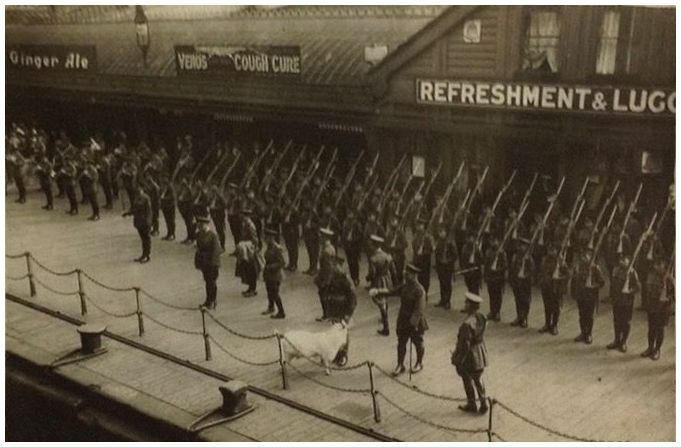 9th (Service) Battalion, The Royal Welch Fusiliers was raised at Wrexham on the 9th of September 1914. It was part of the 58th Brigade in France. 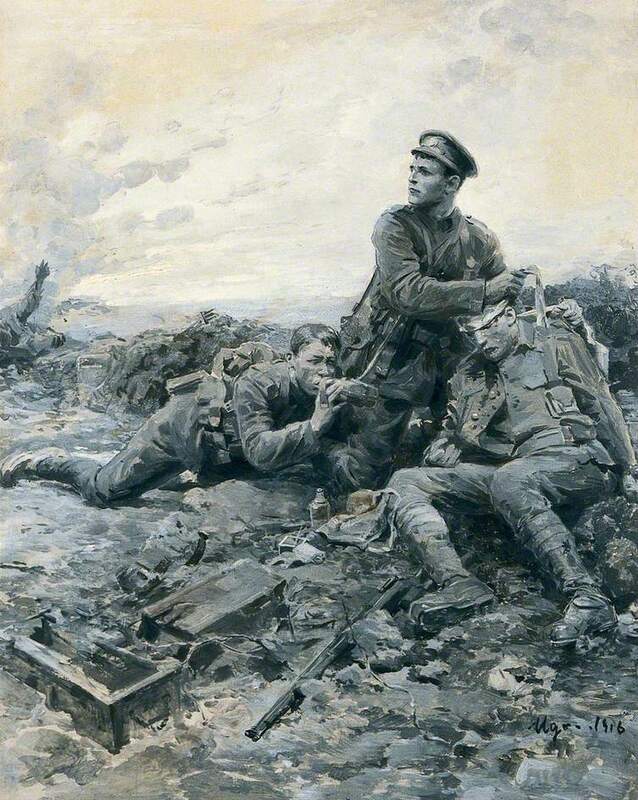 In August 1915 it was shipped to to France, south of Neuve Chapelle. On The 25th Sept 1915 it was at the North end of the battle of Loos. 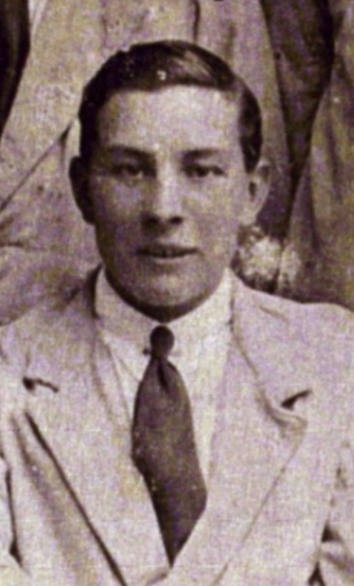 My grandfather Sam Vaughan was one of many who was a casualty but remarkably survived after been shot 3 times. Many other were not as lucky. This web site give details of the build up to there battle. 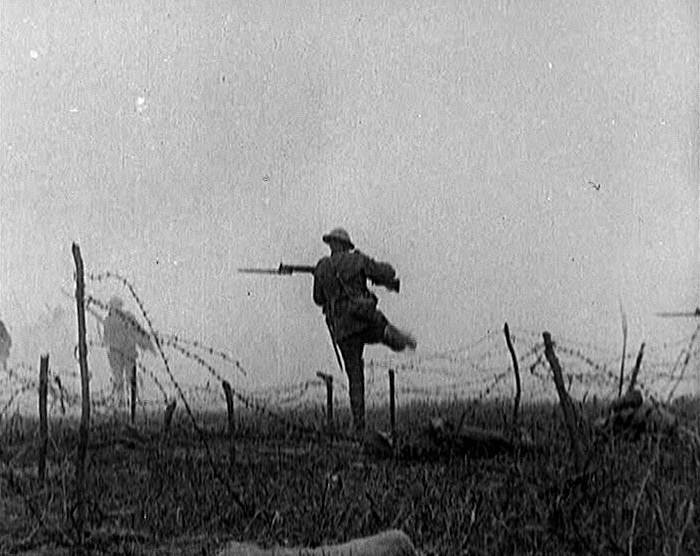 The Battle of Loos was the largest British battle that took place in 1915 on the Western Front during World War I. It was the first time the British used poison gas and the first mass engagement of New Army units. 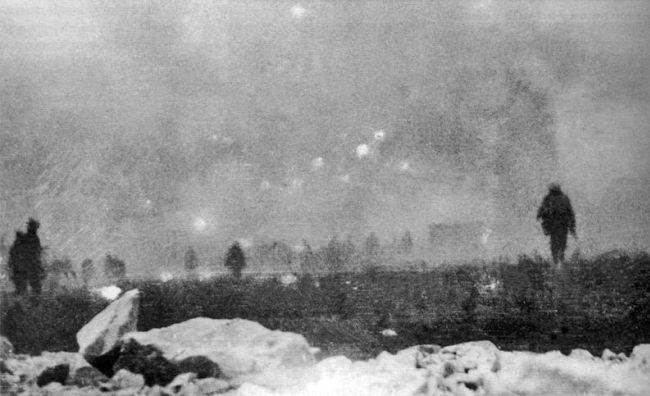 The British battle was part of the attempt by the Allies to break through the German defences in Artois and Champagne and restore a war of movement. Despite improved methods, more ammunition and better equipment, the Franco-British attacks were contained by the German armies, except for local losses of ground. British casualties at Loos were about twice as high as German casualties. Gas used for the first by the British and should not have been used as the wind in the wrong direction! I meet the CO in A company mess at 4:15am & had some coffee. I ten went back to my dug-out. I began to think the attack would be postponed. Brigade HQ moved to Advanced Report Centre. Our artillery started a furious bombardment. I hurried down the firing line & found smoke candles at work. On my way there I observed a mile to my south a thin cloud floating slowly toward the German lines; this I took to be the asphyxiating gas. The breeze was still very slight but seemed to have turned temporarily in our favour. It was not to be depend dent on however & too weak & I am not of the opinion that the pall of smoke in front of our lines did more harm than good as it brought on inactivity on the part of our artillery. 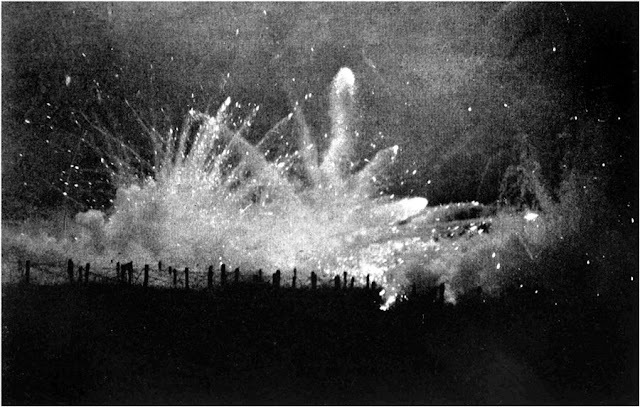 The smoke was intended to supplement the gas and mislead the Hun into believing that there was an immense about of that commodity coming toward them. None of our men were injured by our gas, though I believe a few of the 6th Wilts suffered. About this time I was informed that a sheaf of rockets had been sent up by the Brigade, intermating the commencement of the attack. I personally did not see it. 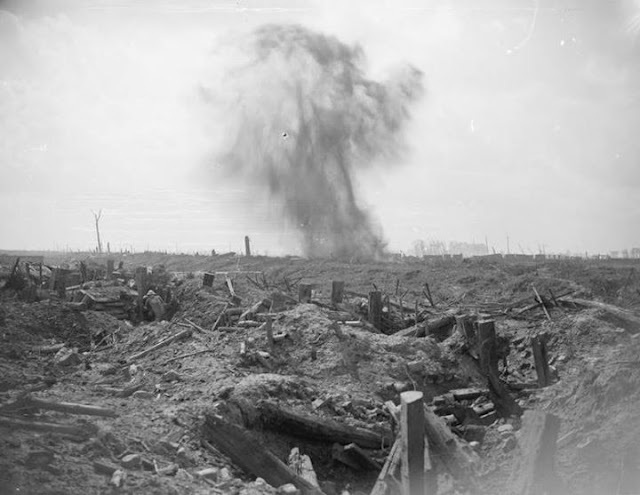 From subsequent inquiries I learnt the following which bore out to some extent the message sent by the Artillery Observation Officer at 06:25 that the Royal Welsh already attaching. Col Madocks remained at A company mess till the sheaf of rockets went up, he then told Captain Hoyle, commanding A company to commence the attack (A company was to be directing) Captain Hoyle proceeded to No 10 sap but he has already at 06:15 had his men out in the sap & I think it is probable that his leading platoon was already extended, lying down, in line with the head of the sap, ready to advance. The order had been issued to be ready to commence the attack at 06:30. This order might be differently interpreted. It should have mad it clear whether troops were to enter the sap or remain behind the parapet till 6:30. The leading platoon of A company being extended in front of the sap it is possible an advance was made before Capt Hoyle returned from Hd Qrs. 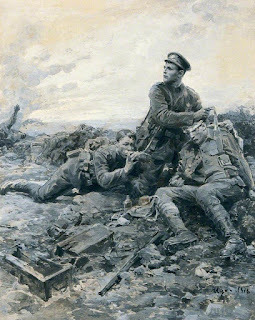 At any rate an officer from B company on the left whose company was keeping in touch with A looked at his watch when the advance commenced and it was 6:20. This must have been an effort of the imagination on his part owing to the smoke, nothing could be seen. Messages like this led to wild rumours after the action of spies having tapped the wires. At about 6:50 I meet Lt Col Madocks and his adjutant in one of the centre bays. He seemed very optimistic and asked if D company was out yet; if so we would follow. The arrangements for the attach were as under;-. I reported that D company was not yet out. A quarter of an hour later Captain Hogg the Adjutant again went to enquire & in the meantime Col Madocks ho was observing over the parapet was struck by a shot in the temple & fell dead at my feet. Capt Hogg had gone about 10 minutes when i received information that both he and Capt Acton had been shot. The 6th Wilts were now beginning to arrive; to avoid a useless sacrifice of life I gave orders for a retirement. 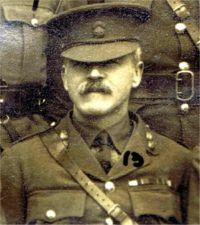 Col Jeffreys, comdg 6th Wilts. Who arrived shortly afterwards concurred with me. But could not this advantage have been gained without such loss of life? It was confidently believed that we should have no difficulty in rushing across the intervening space and capturing the German front & support trenches. When the time came for to carry this out we found ourselves up against a row of impenetrable wire and intervening ground swept by half-a-dozen machine guns. C company under Capt K. Nicholl had been detailed to act as a flanking party & move up Fife Road. They suffered severely from enemy's artillery which was most accurate. The remainder of the morning was taken up in moving the remnants of the battalion to the reserve line. During the hours of darkness many of the wounded were brought back in. It is believed a few of the missing are prisoners of war. Things are not going well - wire not cut and the weather very bad and trenches full of mud. Very wet and muddy. Our artillery continued to bombard. We had been in trenches since Aug 30th and our total casualties up to the evening of the 24th had been 2 men killed and 11 wounded. 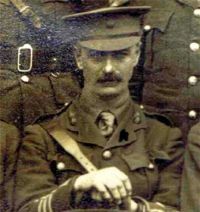 On the evening of the 24th Lt Col Madocks and his battalion Hd Quarters moved up to A company mess in the firing line. He asked me (Major C Burrard) to meet him there at 4:15am the next morning. I retired for the night to a disused dug-out I found in one of the old support trenches. The brigade headquarters moved to Advanced report centre, LE PLANTAN POST, (WELSH CHAPEL) at 4 pm . Headquarters 86 battalion RFA, (1 Indian 9Inf?) also ????? at the same place. Trenches very muddy and bad. 23rd Sept 1915 (Thu) 2 Day before the battle! Reports as to wire cutting still doubtful. 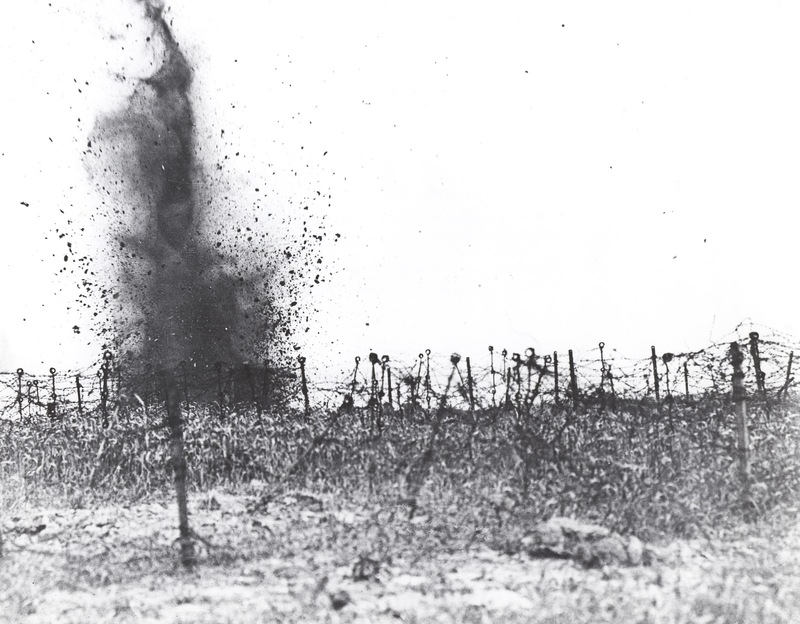 A count of 6 High explosive shells fell about 300 yards from BHQ at 2:30pm. 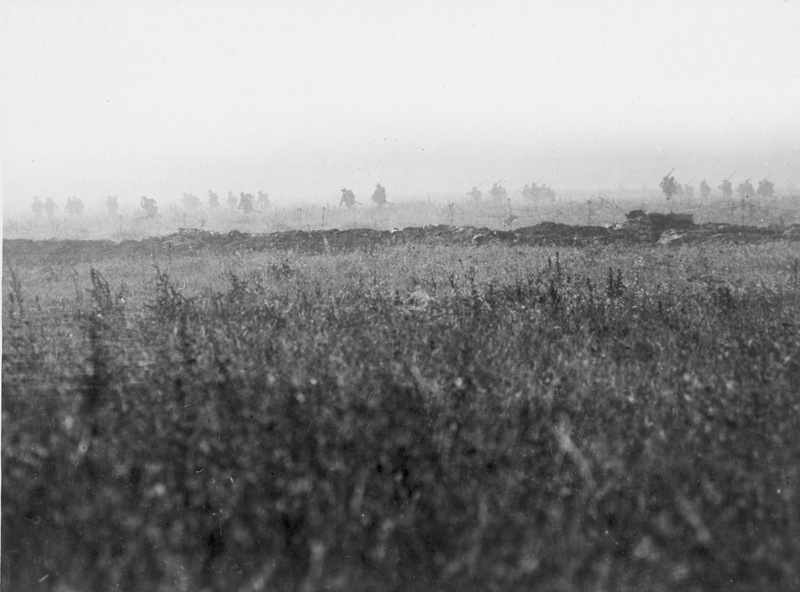 Artillery bombardment begins at 5.00 AM and continued throughout the day. Good deal of wire was reported as a cat and our machine guns and rifles fired at intervals throughout the night and prevented the enemy from carrying out any repairs. The enemy made very little reply two our bombardment. The men are now aware of the impending battle to come. The noise would be deafening and they would have little sleep. There are 100 Royal Welsh assigned to the battle and the have been given there position. Blanket rolled 16 inch wide with two straps and buckles on to the big buckle of braces on shoulders. The end of forward should be next to body. Haversack. containing iron ration, Completed in its bag also second iron ration, one pair of socks, knife, fork and spoon, towel and soap, fastened to buckle by buckles of brace's underneath the blanket. Two buckles on top of haversack To be drawn under flag up by a piece of string. Waterproof sheet folded same width as a the haversack . mess tins which should have food as well, and by jammed with paper to prevent rustling, if necessary, fastened to bolt and haversack with valise Straps on the bolt, through mess tin handle on the two lower buckles at the bottom of the haversack. Drinking mug to be carried on fastening strap of water bottle. Smoke helmet to hang over her left shoulder resting just above water bottle. One bandolier to be carried slung on each shoulder. Water bottle, entrenching implement, bayonet and scabbard as usual. The 9th R. W. Fus. 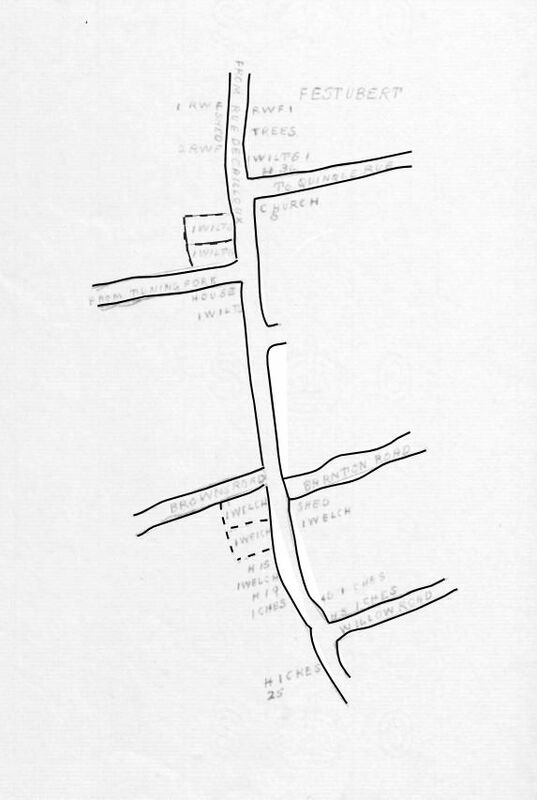 Moved into IND I (b) occupying the trenches from Barton Road to Fife Road. The 9th Welsh on our right, and the 9th Cheshire's and the 6th Wilts being in Brigade Reserve. 9 RW Fusiliers moved into IND.1B, occupying from BARTON ROAD to FIFE ROAD. Employed occasionally in working parties. Nothing of Tactical interest to record. I found this image of the 9th RW Fusiliers leaving for France 19th July 1915. Sam would be in this picture!! !